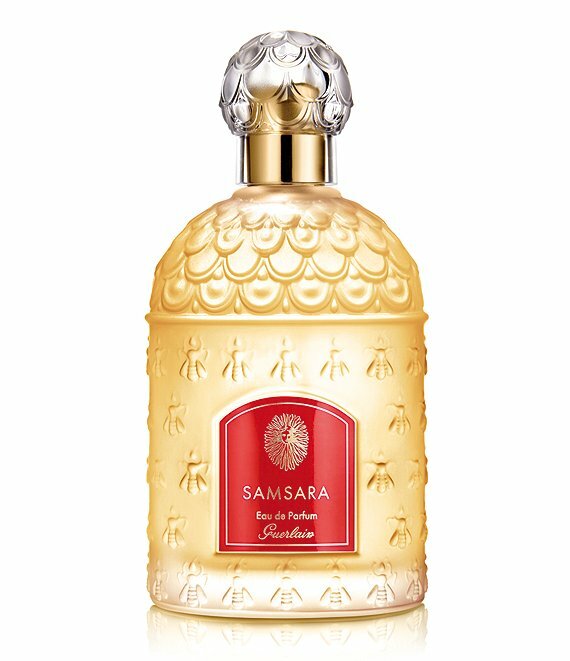 Samsara is an elixir of seduction for a woman who has found harmony and balance, which is notably conveyed through the composition's raw materials: the purest sandalwood and a jasmine used only for religious offerings until then. Embrace your perfume in the mythical Bee Bottle. Designed in 1853 by Pierre-François-Pascal Guerlain for the Empress Eugénie, wife of Napoléon III, this precious bottle is adorned with the symbol of the Empire: the bee, which is now La Maison Guerlain's emblem. As Samsara takes flight, it enwraps us in jasmine flower, which dominates the scent, before sunny ylang-ylang flower embellishes it, the better to unite it with the radiant and generous warmth of sandalwood. Lastly, iris, tonka bean and vanilla harmonize and render sublime this blend with its remarkable trail. Woody Oriental Harmonious, Spellbinding, Embracing.